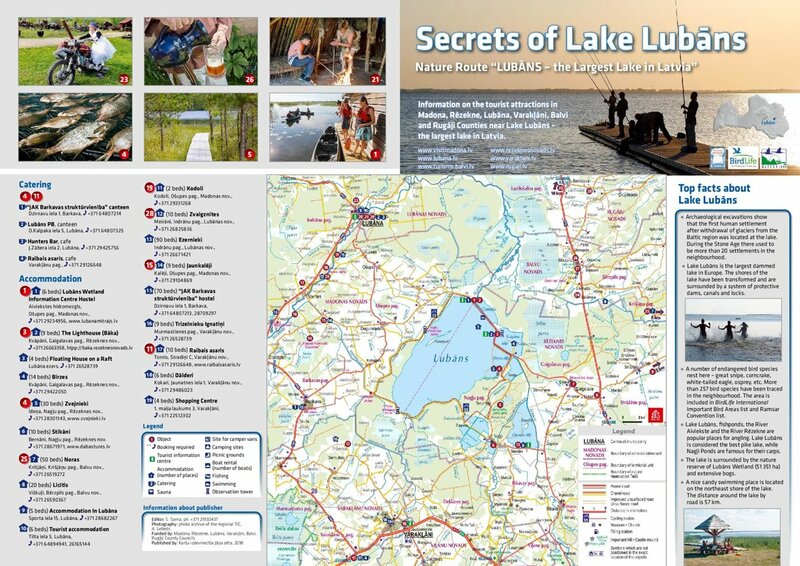 This year we proudly present you the brochure - Secrets of Lake Lubāns! 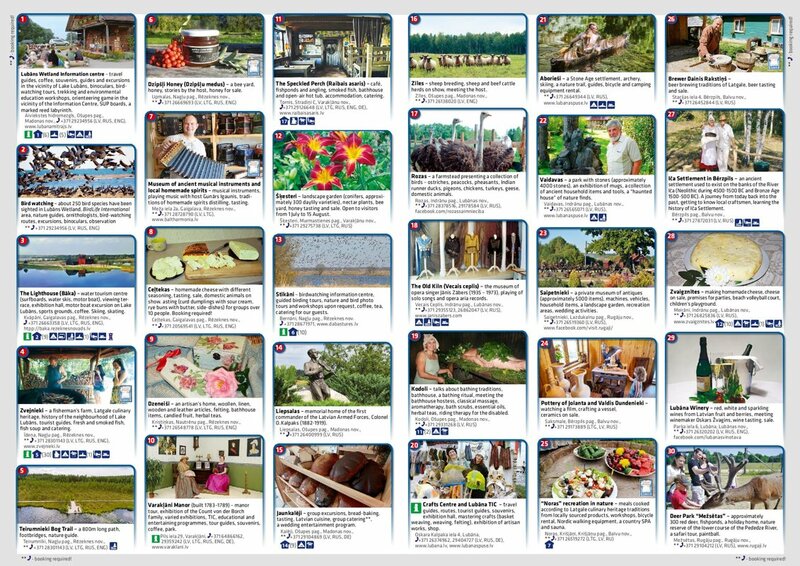 The brochure presents information about the tourist attractions in Madona, Rēzekne, Lubāna, Varakļāni, Balvi and Rugāji Counties near Lake Lubāns – the largest lake in Latvia. You can find useful information about the biggest events in year 2018, accomodation facilities, sightseeing objects and other useful information. May your journeys be wonderful!